Bush Beans There are many varieties of bush beans to choose from. They can be green, yellow, or purple and come in all kinds of shapes and sizes so you can add a variety of textures and colour to your dinner plate. Huerto del Cura has a unique location within the Elche’s Palmeral palm tree gardens, a UNESCO World Heritage Site. 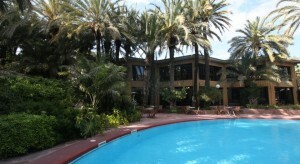 The hotel offers an outdoor swimming pool and a sauna. 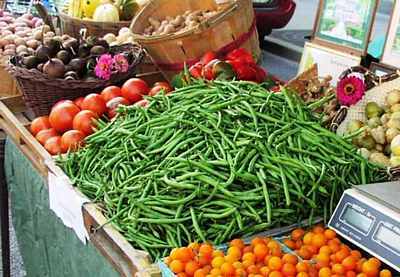 Bush beans, also called snap beans because they “snap” when ripe, are by far the most popular homegrown beans. Tender, with a delicate taste and no strings, they are easy to grow and cook – and delicious to eat! There are many varieties of bush beans to choose from. They can be green, yellow, or purple and come in all kinds of shapes and sizes so you can add a variety of textures and colour to your dinner plate. Bush beans (Phaseolus vulgaris) are easy to plant and they do not need any time consuming staking, trellising, or poling because they grow on compact, sturdy plants. 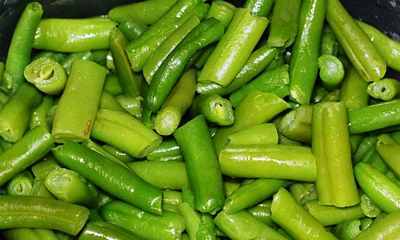 They grow well even in poor soil, and have ready-to-eat pods in only seven or eight weeks. And by staggering planting times by a few weeks you can have a continuous bean production all summer/autumn long. Beans like warm soil, so for best germination when sowing your seeds, wait until the soil temperatures are warmer than 16° C (60° F). If you plant the seeds in cold soil, the beans will germinate very slowly leaving them vulnerable to rot and soil-borne diseases. Soak them: For extra fast germination, soak the seeds in water for 30 minutes before planting, or put the seeds between two damp paper towels the night before planting. By the next day, the seeds will be swollen and ready to germinate. Inoculate them: Beans are like peas and other “nitrogen-fixing” legumes in that beans can pull nitrogen right out of the air because soil-dwelling bacteria forms nodules on their roots. But this can happen only if the soil naturally has this helpful bacteria. If the soil has no such bacteria, your beans will not do as well. So take a few minutes before you plant your seeds and inoculate them by coating them with a powdered form of rhizobium bacteria. It is a good insurance to give your seeds to ensure they grow the best they can. Even if your soil already has plenty of the nitrogen-fixing bacteria, adding some inoculant is never going to hurt anything. Bush beans like a regular supply of water. That said however, beans do NOT like wet, or poorly drained soil. In order to make sure the soil drains well, and your beans do not rot, add plenty of organic matter such as compost before planting. Give the beans regular water, and allow the plants to dry out a bit in between waterings. The only time you want the soil to be constantly damp is right after you have sown the seeds. Watering the seeds: When sowing in the spring, sow the seeds 1 inch (2.5 cm) deep; in the hot weather of summer, sow the seeds 2 inches (5 cm) deep. Then soak the seed bed thoroughly with water, and try not to water again until the beans sprout so that the soil does not become soggy or waterlogged. If your soil tends to dry out quickly, or to form a crust, cover the seed bed with a very thin layer of mulch or compost after you plant to keep the soil surface moist and soft. This helps the bean’s growing tip from breaking off as it pushes though the soil. If your soil dries out even with the mulch, do water again. Always keep sown seed beds damp. If they dry out, the seeds will die. Bush beans do not mind being crowded and will still produce a good crop. The best reason for planting them fairly close together is you want the leaves of the plants to grow into a shade canopy that will cool the soil and stop weeds from growing. 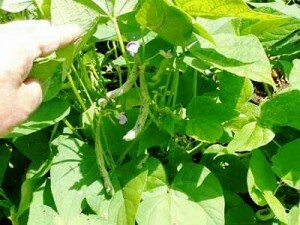 Plant bean seeds in “blocks” or rows 2 to 3 inches (5 to 7.5 cm) apart and do not thin when they come up. 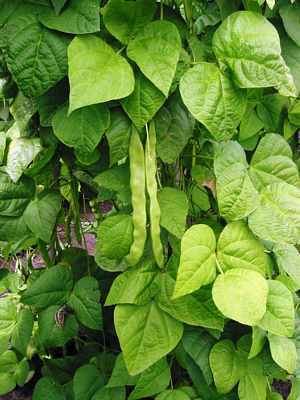 Try not to grow beans in the same garden bed two years in a row because they are susceptible to several soil-borne diseases. Rotating your crops will help prevent a build up of these diseases at each location. Snap beans have very shallow roots that cannot compete with weeds for water and nutrients, so try and keep your beans well weeded. 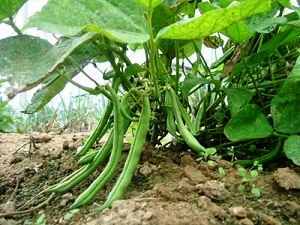 Remember however, that bean roots grow very close to the soil surface, so be careful when weeding that you do not pull the bean plants out along with the weeds if you have allowed the weeds to get too large. 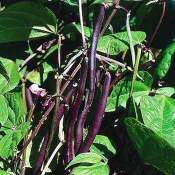 Especially here where summers are hot and dry, mulch your beans to help keep the moisture in the soil. Beans will stop producing about a week after any hot spell that is over 32° C (90° F). 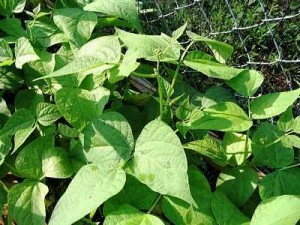 To avoid this, either cover your bush beans with shade cloth structures to help them weather through or plant early in the spring, or towards the end of summer to miss most of the high heat days. 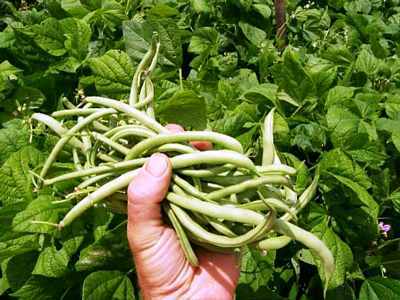 Because bush beans tend to produce their beans all at once, harvest will only last about 2 weeks. By staggering your planting, it will help keep a steady supply of beans throughout the summer. Regular harvesting is the number one way to guarantee a prolonged bean harvest. 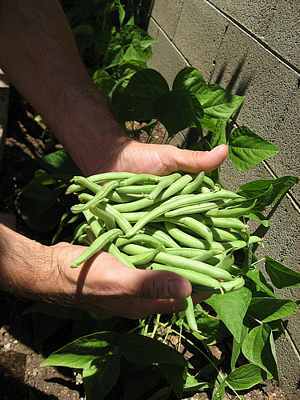 You should pick your beans at least every other day, and you should pick your beans before their pods swell and fill up with seeds. When the seeds finish forming inside the pods, it sends a signal to the plant to stop growing, which is something you do not want, so keep those beans picked. Also, when beans pods get too big, they are not as tender and tasty as when they are young. 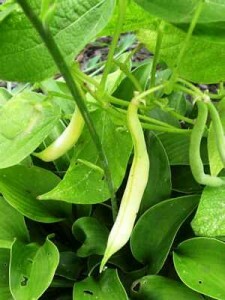 Whether you call them string beans, snap beans, green beans, or bush beans, they are one of the most favoured vegetables for gardeners to grow during the summer months. They have high quality flavour, and last a long time once harvested, making them easy to handle and cook with. By following the above tips you will have even more success with your beans and that simply means more for you to eat and enjoy! What’s growing in Spain – Claire’s Allotment. Bush Beans. Here’s another little update from Spain – a quick round-up of what’s managed to grow in the last year. Birds of the Mediterranean: A Photographic Guide (Helm Field Guides). Covering all the species of birds occurring in the areas bordering the Mediterranean, this guide is illustrated throughout with stunning photographs. The regions examined cover some of the most distinctive and birdrich habitats in Europe, the Middle East and North Africa, places as popular with sun-seeking holidaymakers as they are with birders. Designed to appeal to both audiences, the guide features photographs of the region’s birdlife, with concise descriptive text on facing pages. Digital manipulation of the photographs has been used to ensure a consistent depiction of light conditions, making comparisons between the images easier. Bush beans Snap Beans Runner Beans in your Spanish Garden. Spain Info, Bush Beans, San Francisco De Asis, Urb Marina, San Fulgencio, 03177, Alicante, Spain. 38n21, 0w29.